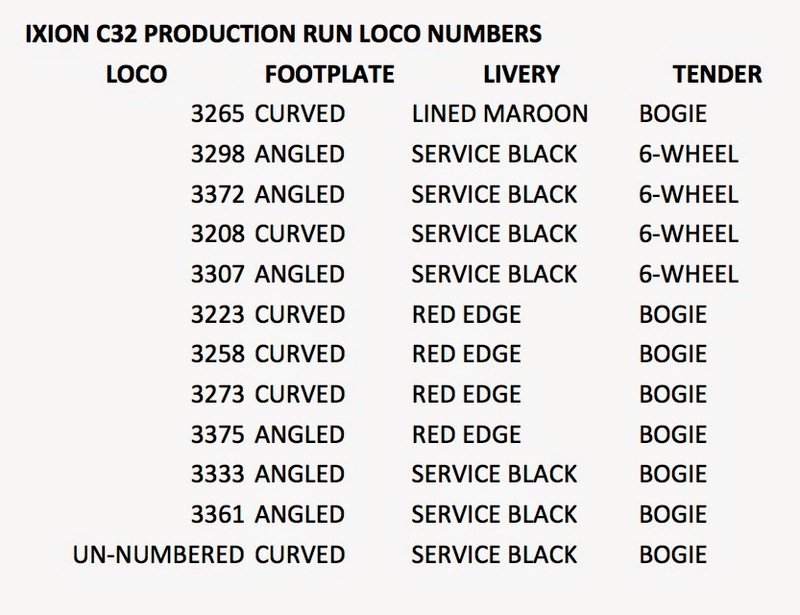 This is the list of loco numbers for the first run of the 32 Class. Most numbers will be limited to 100 models, except for the two 'specials', preserved 3265, and 3333, famous because it was one of only two NSW locos with a number made up of the same digit; 5555 was the other. We have tried to select locos which will give some variety to the loco fleets which modellers already own, thus the decision to include the 'P' Class 6-wheel tendered locos. All of these locos and liveries have been selected from prototype photographic evidence. If the sales support a second run of this loco, we will be looking at the famous 1930's lined green livery as a likely inclusion. By the end of this week (Sun 22 March) there will be "Buy It Now" buttons for all these locos on our website at www.ixionmodels.com. There will be a special pre-release price of $545, a saving of $50 on the post-release price of $595. The special price will also include postage to your designated address, where required. Payment can be made by PayPal or credit card. Pre-purchasing through the website is also the only way to guarantee that you will receive your choice of number, livery and tender, so don't delay, once the purchase buttons are uploaded. The announcement of their availability will be made here first. Quite right! I should have said "One of only two steam locomotives".